The Colonel Alexander Doniphan and Leona E. Kresse awards are given to the senior man and woman voted most likely to succeed. 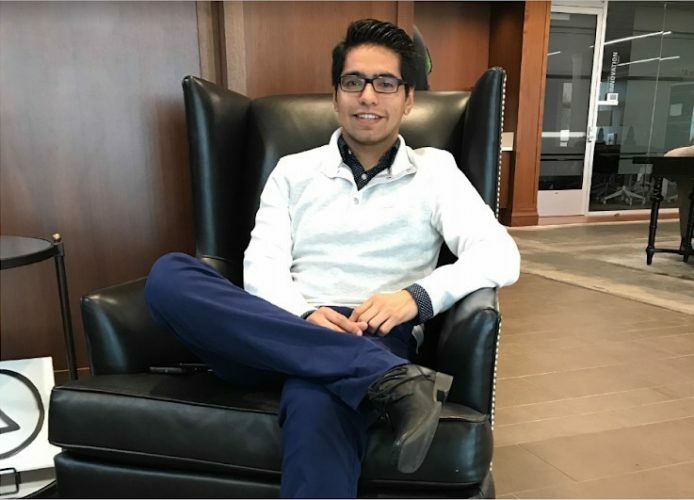 The 2018 Doniphan award recipient is Marco Antonio Martinez Lopez, senior business administration and Applied Critical Thought and Inquiry (ACT-In) major. Luce-Virlynn Apollon, senior nursing and ACT-In major, is this year’s Kresse award recipient. Colonel Alexander Doniphan is best known for preventing the execution of the Latter Day Saints movement founder Joseph Smith during the Missouri Mormon War, a conflict between Mormons and non-Mormons in northwest Missouri. He is also known for his leadership during the Mexican-American War. Doniphan fought for William Jewell College to be located in Liberty. Lopez was very surprised to be nominated for the award, let alone to win. “It was amazing. When I saw my name there on the ‘nominees’ of the award, I couldn’t believe it. ‘Someone must’ve thrown my name just because,’ that’s what I thought. It means a lot to me, to my parents and to my big family,” said Lopez. He dedicates the award to his grandmother who passed away over Christmas break. “You couldn’t see me graduate and I know you were waiting for me after a year without being in Mexico, but I know you are my big angel now and wherever you are, you will help me achieve my goals. Love you and miss you very much,” he said. After graduation, Lopez hopes to stay in the U.S. His immediate plan is to become Optional Practical Training approved. He hopes to incorporate his passion for and experience in tennis into his future career. His dream is to work for the Association of Tennis Professionals. “Right now, I am working on a business project with a co-intern, who I met in Cincinnati this past summer while working at the Western & Southern Open, to develop a better system to help athletes around the world to get recruited by American Colleges and help the coaches to have a better communication with them,” said Lopez. The Leona E. Kresse award is named after Jewell’s first female graduate, who graduated in 1920. In addition to caring for her child, Kresse served as the president of a co-ed organization on campus and played basketball on the first women’s team. Apollon was honored to receive this award, recognizing the women among whom she now stands. “It has been an honor, especially when you consider the women who have received the award in the past, even in the last couple of years, Molly Ingram and Ellie Esry. It’s just incredible to be considered by not only my peers but also [to be] at that caliber, so that’s just super incredible to me,” she said. She is currently completing her nursing capstone in the labor and delivery unit at Truman Lakewood Hospital and plans to work at a local hospital after graduation. “I’m in the process of job searches, so that’s really exciting. I will be a Graduate Nurse at a local hospital. Right now it’s labor and delivery. I haven’t done critical care yet, so maybe I’ll be a critical care nurse, but maybe I’ll be a labor and delivery nurse, I haven’t decided yet,” said Apollon. Lopez and Apollon will be recognized during Achievement Day Convocation Feb. 23. Brianna Steiert is a senior Oxbridge Molecular Biology major and mathematics minor. 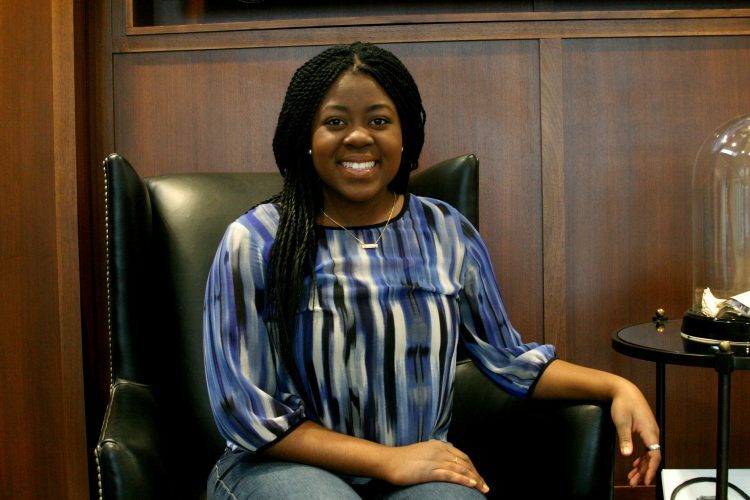 She serves as Features and Managing editors for the Hilltop Monitor.